Consumer exposure to a brand’s online social media content and premium Facebook ads results in more purchases. These are the findings of a new study commissioned by ComScore and Facebook that should go far in demonstrating the branding strength of the network’s social media-oriented display platform and its overall ROI to marketers. AdAge.com reported on the details of the social study. Facebook has long argued that rather than measuring the effectiveness of its ads by click-through rates and immediate sales, their power is more accurately gauged in purchases over time. The company claimed that the natural exposure to a brand’s online content would eventually lead to a greater number of sales. Fortunately for Facebook, the results of the study support that premise and prove the social media network’s long-term value as an advertising channel. The study was conducted on two test groups over four weeks, with one group being exposed to branded content and the other group with no exposure. The groups were comprised of fans and their friends for Starbucks and Target. 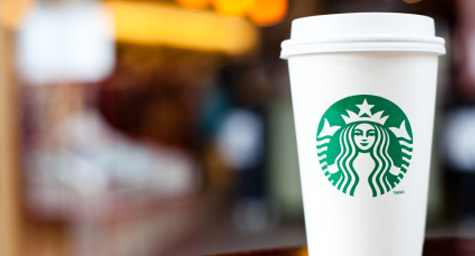 The results showed that in-store purchases were made by 2.12 percent of the Starbucks group exposed to organic brand content as opposed to only 1.54 percent of the non-exposed group. Target in-store purchases were made by 3.9 percent of the group exposed to brand content compared to only 3.3 percent of the control group. In addition, the study analyzed consumer purchasing behavior based on exposure to the premium Facebook ads of a large retailer. The results indicated a slight increase of both in-store and online purchases by the groups exposed to these ads. “We saw that the increase grew with each subsequent time period, so that really speaks to the latent branding effects of earned media exposure, [similar to] TV advertising,” said Andrew Lipsman, VP of marketing at ComScore. He added that the findings were based on causation, which addressed last summer’s controversial Facebook research which had the network asserting that Starbucks fans spend more than non-fans. Their results were refuted as claiming direct causation from what could have been mere correlation. With this new study, Facebook has strengthened its credibility and improved its standing as an effective advertising channel. Now, the social media network is hoping that these results will lead to revenue. To learn more about the ROI of social media and incorporating a social media advertising strategy in your marketing plan, contact MDG Advertising today at 561-338-7797 or visit mdgadvertising.com. MDG Advertising, a full-service Florida advertising firm with offices in Boca Raton and New York, NY, specializes in developing targeted Internet marketing solutions, exceptional creative executions and solid branding and media buying strategies that give clients a competitive advantage. Our core capabilities include branding, logo design, creative, digital marketing, print advertising, direct mail marketing, media planning and buying, TV and radio, Web design and development, email marketing, social media marketing and search engine optimization (SEO).